Welcome to Appleview Elementary School! On behalf of our students and staff, I would like to take this opportunity to share with you some of the highlights of our building. After several years of existence, we have worked to create a safe and caring learning environment that promotes academic success and differentiated learning experiences for our students. If you would like additional information about any of the items highlighted below, please feel free to contact our main office at (616) 887-1743. AR is an independent reading program that is designed to promote a students love of reading. Students read books at their appropriate level, take computer-based comprehension tests, and receive points based on their performance. A 40 minute "Extension Block" has been established for each classroom at each grade level. During this 40 minute block, students receive intervention to assist with either re-teaching a concept that they need additional support with or enriching in an area that they have already displayed mastery. All teaching staff at Appleview have been trained in Capturing Kids Hearts (CKH), a protocol for both classroom management and overall school environment. CKH focuses on establishing Social Contracts (an agreement of behaviors for how students/adults will treat each other and work together) and assisting students with the ultimate goal being self management. Over the last few years, the grounds around Appleview have been going through an "ecological face-lift". Aided by both staff and students, plants native to Michigan have been planted around the school. In addition, we have added a butterfly garden (donated by our PTC) and a rain garden. The Habitat Project's goal is to provide a self-sustaining landscaping system around the school. Girls on the Run is a transformational physical activity based positive youth development program for girls. We teach life skills through dynamic interactive lessons and running games. The program culminates with the girls being physically and emotionally prepared to complete a celebratory 5k running event. The goal of the program is to unleash confidence through accomplishment while establishing a lifetime appreciation of health and fitness. Students in 4th and 5th grade at Appleview have the opportunity to participate in this wonderful program. We have two teams of fifteen girls. Look for GOTR information in your daughter's Friday folder in the late fall. Please contact David Oudbier with any questions about the program. is an innovative father involvement, educational initiative of the National Center for Fathering. It began in 1998 in a single school in Springdale, Arkansas and has since grown into a nationally recognized program that has brought hundreds of thousands of fathers and father figures into our nation's classrooms and hallways. WATCH D.O.G.S. has created millions of "in school" volunteer hours and continues to have a tremendously positive impact on the educational process. 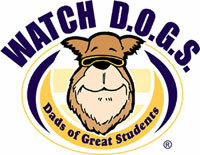 Today more than 3,793 school in 46 states including Washington D.C. participate in WATCH D.O.G.S. 1) To provide positive male role models for the students, demonstrating by their presence that education in important. 2) To provide extra sets of eyes and ears to enhance school security and reduce bullyin. Questions regarding this program please contact Todd Yemc @ 616-570-4777 or Penny Darling @ 616-788-5221. More information will be available during the 2014-15 school year. Kent Schools Services Network (KSSN) is an initiative that involves many partners, but a single goal: to ensure all children are healthy and learning. The partners do this by bringing health and human services right into the school building to help students and families. This provides a one-stop location for families, making services easy to use. · Other services, depending on the needs of the families. Contact Paul Cole at 616-887-1743 or email at paulcole@kentssn.org.